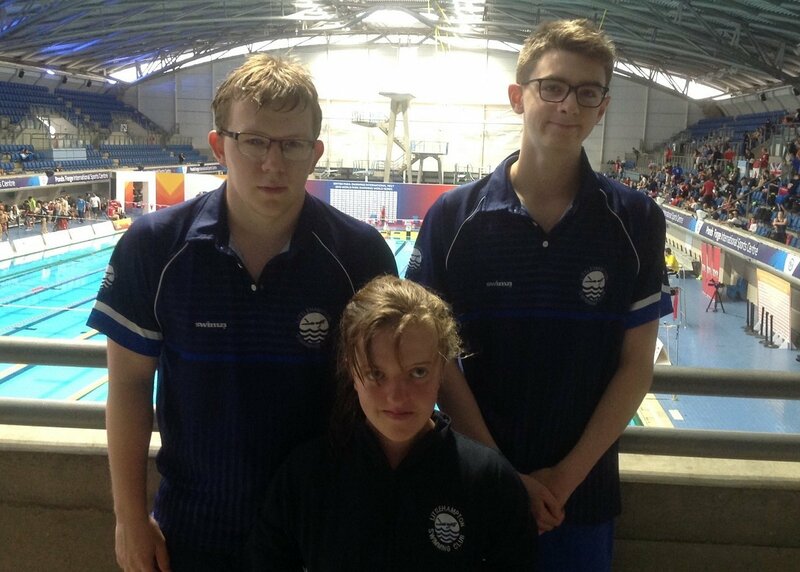 Caleb Grace, Joe Greaves and Georgie Howell had a fantastic 4 days of competition at the British Para International World Series event. This was a superb event with swimmers present from all around the World. The Japanese particularly impressed us with their teamwork and the intensity of their pre-water work…… and their naps – we saw them all lying on their mats for a snooze a few times! There were two competitons running side by side. The World Series event and the British (national) event which our swimmers took part in. All events were decided on British Disability points which are awarded by how close the swim is to the World record time for their classification. Age does not come into it. Caleb produced solid swims all week, starting with a long course PB in his 100 free and finishing with another in his 200 free on the final day where he finished 11th, just missing out on a place in the British Final. Joe had an exciting week which included a visit to the Formula One museum! With swims less than half a second off PB at the beginning of the week, Joe had two strong swims on the final day in the 200 and 400 free. A 1.3 second PB in the 200 free was followed by a massive 8 second PB in his 400 free! Georgie was by far the busiest, making the British final in all seven of her events! In the 100 free Georgie went into the final as 9th seed and finished 5th with a 2 second PB! She finished a brilliant 2nd in her 100 breast just four races later! Georgie also finished 2nd in her 200 IM, 9th in the 50 free, 8th in the 100 back 3rd in the 50 fly and 5th in the 400 free. The 400 free heat was a delight to watch as Georgie eased into the lead with superb acceleration into every turn and a huge 6.4 second PB! Congratulations to all three swimmers on a great week!